Drop the hurt down on Splatoon 2's third boss with this simple strategy. There's a good chance that Splatoon 2 players will be masters of the ink-slinging arts by the time they reach Neo Octostomp, the game's third boss. Still, the giant floor-pounding antagonist isn't without his strengths, and Nintendo Switch players would be wise to bring their A-game to the battle. Keep reading to discover all of our top tips and strategies for taking down Octostomp. 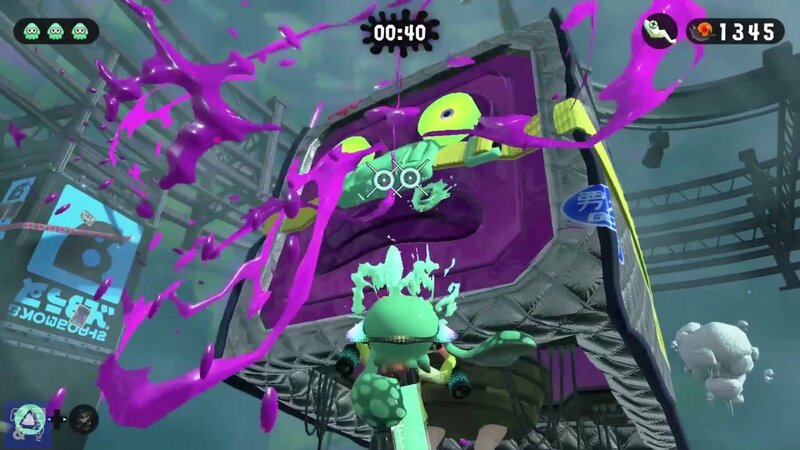 The Octostomp in Splatoon 2 is an unusual boss -- it seems as if the whole of the creature was designed around the all-too-familiar ground pound attack that players have seen within countless other games. As such, the Octostomp comes off as one of the easiest bosses in the game. The bug-eyed creation will start off the battle by pounding his way around the arena, and players need to dodge his attacks and spray ink over his sides in order to climb atop and start attacking its tentacle. With one phase out of the way, the Octostomp will transform into the Neo Octostomp -- just like the previous version save for an all-new ink-resisting armor that makes climbing the baddie even harder. When the boss' machine gun is trained on the player, dodge and shoot at the new clip that appeared on the front of the Octostomp. Once the clip is out of the way, players can resume dodging and inking in order to find their way up to getting a second critical attack. The Octostomp's third and final form sees it gaining a new face as well as a protective coating similar to how it had in round two. Its attacks are still the same, however, so players should focus on the middle face containing the armor-breaking chip. Dodging each of the incoming attacks, be them stomps or loads of ink from its guns, destroy the clip to remove the armor, coat Octostomp in ink, and climb back up to destroy its tentacle one last time. That's it. Once they've watched Octostomp's demise unfold, players need only collect the mini Zapfish to complete the level, and pat themselves on the back for taking down Splatoon 2's most cuboid boss. Eager to catch up on even more Splatoon 2 strategies? We've got a number of tips, tricks, and useful lists featured over on our Splatoon 2 guide hub.